Samsung UE43NU7020 HDR 4K Ultra HD Smart TV, 43"
John Lewis is a chain of high-end department stores across the United Kingdom. Its flagship store was opened by John Lewis in 1864 as a drapery shop in Oxford Street, London. It is a Partnership where all long-serving employees are partners of the business. The company’s slogan which has been used since 1925 is “Never Knowingly Undersold”. To date, they have 48 John Lewis shops all over the country which consists of 34 department stores, 12 John Lewis at home and shops at St. Pancras International and Heathrow Terminal 2, an online shop, a production unit as well as a farm. In addition, they launched their first concession in New South Wales, Australia in 2016. 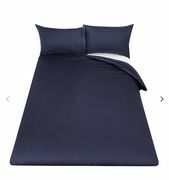 JohnLewis.com offers great servings throughout their wide array of products from clothing to home essentials. Here at LatestDeals.co.uk you will find all the best deals and the latest JohnLewis.com sale, discounts, voucher codes and coupon codes shared by our massive community of bargain hunters every month! You may also want to check out our Matalan page for more deals on homeware and clothing for men, women and kids. AND/OR is a new brand available exclusively at John Lewis. The denim which forms the core of this brand is designed by LA duo Calvin Rucker for authentic cuts and heritage washes. Each pair is designed in LA and the denim is crafted and finished on California’s West Coast. The collection also includes an edit of day-to-night heels, vintage-style jackets and easy blouses so you can style your denim up, down or however you please. It starts with denim… what you do next is up to you. What does John Lewis sell? They also have offers of up to 20% off on select products across their range. How do I contact John Lewis? You can email John Lewis using their online form. Choose what department is most relevant to you and try to give as much detail as possible. If you want to contact your local John Lewis store, perhaps to find out when the Boxing Day opening hours are, then use their store locator tool and all contact information is there. What are the delivery options for John Lewis? Smaller items are usually delivered within 5 working days, Monday to Friday, 7.30am - 6pm. Some couriers may deliver slightly earlier or later. Larger items, including furniture and appliances, will be delivered by a John Lewis van or one of their approved suppliers and may take up to 3 working days. £6.95 for Next Day for small to medium items and £19.95 for large items. £6.95 for Named Day for small to medium items. Not available for large items. £9.95 for Next day pre 10:30am for small to medium items and for large items it is free for orders over £50 and £3.50 for orders under £50. £8.50 for 4-Hour Slot for large items. Not available for small to medium items. £19 for 2-Hour Slot for large items. Not available for small to medium items. Click & collect is FREE from your chosen John Lewis or Waitrose for orders of £30 and over, or £2 if you spend less. It's a 7-day service, so you can shop with ease over the weekend. Order before 2pm Sunday to Friday for next day delivery. If you order after 2pm Sunday to Thursday, your order will be ready to collect the day after tomorrow. If you order after 2pm Friday or at any time on Saturday, you’ll be able to collect on Monday at the earliest. Check out their International Delivery page for your country’s delivery costs and times. How do I return an item to John Lewis? Returns for small and medium items are free at John Lewis. Larger items over 15kg or delivered by 2 people may incur return fees. You can return an item you're unhappy with and get a refund or exchange within 90 days of purchase and with a receipt. It can take 14 days to receive a refund after returning an item by post. If you take your product to a store, you will get the refund immediately. See this page for full information on how to return your John Lewis products. To send your product back to John Lewis via Royal Mail, the delivery comes with a return slip on it. If you have it, take it out and stick it on to the box. It has the address and postage on it. If you don't have the return label, you can print one for free from the Royal Mail website here. Just select John Lewis. Sometimes you need a little help with choosing the product that's right for you, that's why at JohnLewis.com, they've put together a comprehensive collection of Buying Guides where you will find all the answers. My John Lewis is more than just a membership card. It helps you get the most from shopping with them by giving you rewards and treats throughout the year. For more information, check out their My John Lewis card membership page. The John Lewis Partnership is unique because our Partners are active co-owners in the business. This means that they share in the profits and have a real say in determining John Lewis's future. This video shows the benefits of being a co-owned business.